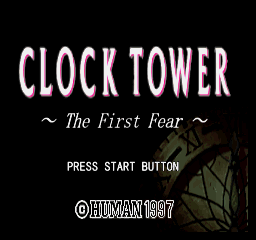 Clock Tower: The First Fear is an enhanced PlaySation port of the Super Famicom cult classic,Clock Tower. 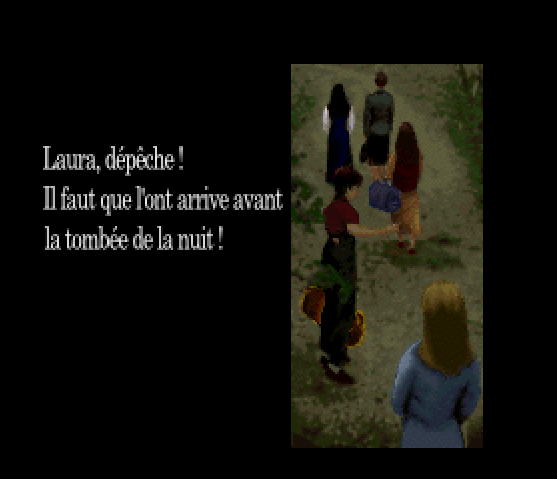 The port adds new content, FMV, bug fixes and mouse support. 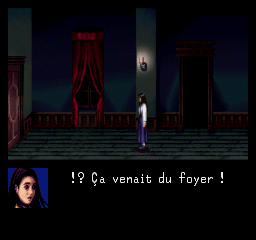 This is a full French translation patch, which includes all in-game text, menus, and video text. 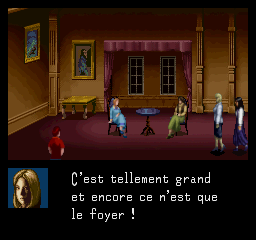 The patch also makes use of a custom 8×15 variable-width, 2bpp font.